The Army of Islam rebel group conducted a pamphlet drop in Damascus city for the first time calling on locals to refuse to serve in the Syrian army against the rebels. The pamphlets were dropped from a drone that flew over Damascus on Thursday. The leaflets read different slogans such as: "The Army of Islam is coming and we will retrieve people's rights" and "Do not allow the butcher to take your children to kill innocents," while another also read "Free Damascus welcomes you soon." 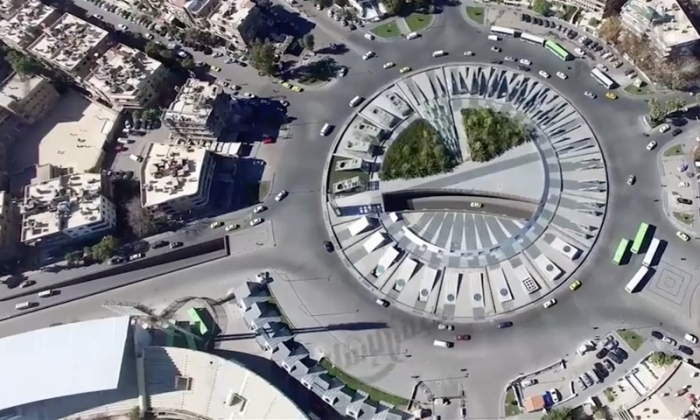 The Army of Islam website published a video portraying Damascus from above taken from a camera fixed under the drone that flew over the Umayyad Mosque and the Hamidiyah Souq.